CX 205MC mass comparators enable calibration of mass patterns and weights ranged from 50 to 500 g with readout precision from 0.01mg. Comparators are equipped with built-in procedure of defining average standard deviation with ABA or ABBA method for maximum 20 repetitions. after which a report containing the results is generated. A modern weighing module with graphic display is responsible for control of comparator operation. CX 205MC comparator is equipped with new software that is operated intuitively and user-friendly. Compaffrator is also equipped with an esthetic and spacious glass weighing chamber with side and top doors. The chamber elements are made of glass and metal. which minimizes electrostatics influence on weighing result. What is typical of CM 205MC comparators, is a two- element structure with electronic module separated from high-precision mechanical measurement system. Possibility of separating head from weighing chamber considerably reduces vibrations transfer to the chamber and - thanks to possibility of locating it in optional place-it improves operating ergonomics and device operating comfort. 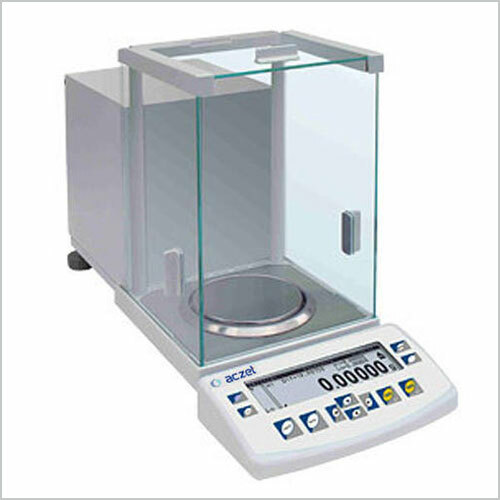 Comparators are used for providing coherence of mass measurements as well as for weights verification in accordance to legal metrology requirements. 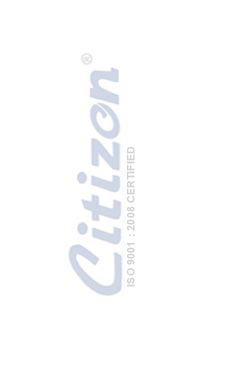 CITIZEN mass comparators won approval of calibration laboratories of many countries in the world. Accurate and stable, high safety and durability upper ring stand with ductile cast steel made load cell is made from material whole piece with good toughness & elastic deformability tool steel for better safety characteristics. Capacity range : 1. 5t~50t accuracy up to 1/3000 safety overload 250% of the rated capacity ultimate overload 500% of the capacity super bright red led display, clear, bright and easy viewing. Good supply with fast and stable display when under swinging. Attached with battery, no wire obstacle, easy & convenient for loading. 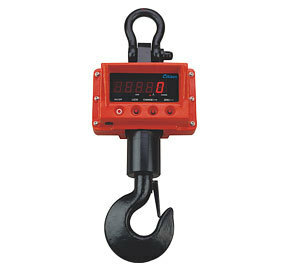 360º swivel hook, reliable & stable when weighing. High special safety constructure load cell design to protect damage orin-accurate from overload: both patented in taiwan and u. S. A. Load cell connects to upper ring & bottom hook, with non-screw safety design to prevent loosen or breakage problems. Easy operated wireless remote control.